The ultimate in luxury marijuana, Leira Cannagars are for connoisseurs looking for a world-class cannabis cigar. 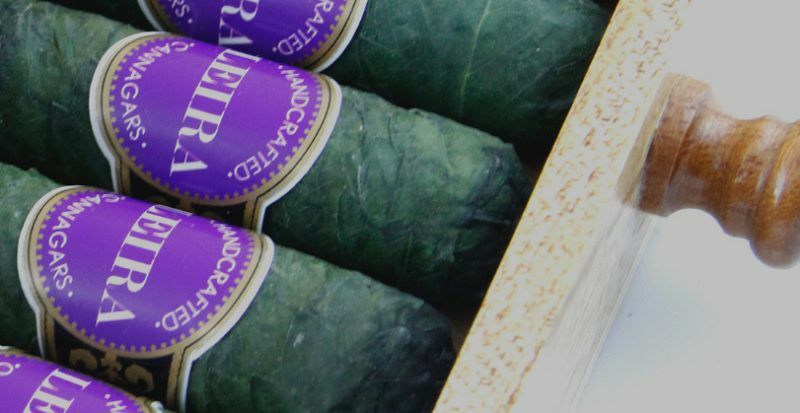 These Washington grown, handcrafted cannabis cigars are made from organic flowers, glazed in solvent-free rosin, and then sealed in cannabis leaves – providing hours of enjoyment. Available now at North Seattle’s best marijuana store, stop by Fweedom to pick up a couple for the next time you feel like rolling deep. Leira Cannagars are made from the award-winning, organic flowers grown by Gold Leaf Gardens in soils amended with natural teas, and nutrients to help the plants fully express their genetic potential for flavor, smell, and effect. The Leira Cannagar-making process has three key elements. Leaves: Blades with the least blemishes are selectively picked from the garden. Cores: Organic flower of the highest quality are formed into a core and meticulously coated with solvent-free rosin. Curing: Hand picked leaves are wrapped around the core and set to cure for a minimum of one month. Swing by Fweedom Cannabis at 12001 Aurora Ave North to pick up a Leira Cannagar for some posh puffing. Perfect for a night out with your #girlboss crew, bachelor parties, party boat excursions – or if you’re spending the night in, just passing the Courvoisier. And if they’re just a little too steep for your weed budget this month – browse our online menu for your next stock up. Plus, you can order online for in-store, same-day pick up. Fweedom Cannabis is the best recreational marijuana store in the North Seattle area. With two locations conveniently located just off of I-5, we are able to serve the Green Lake, Northgate, Shoreline, and Mountlake Terrace communities with an array of high quality cannabis products. Our Seattle and Mountlake Terrace locations offer a vast selection of flower, shatter wax, dabbing supplies, concentrates, edibles, and pre-rolls to choose from.